Mattel’s sales received a healthy boost in Q2 2017. After Mattel’s disappointing first quarter 2017 slump, it’s pleasing to see Mattel somewhat turn around its performance in Q2 2017. Net revenue got a healthy two percent boost in the second quarter of 2017 compared to last year during the same period. Its gross sales increased by one percent; however, it reported an operating loss of nearly $49 million. Mattel’s heavy-hitters in Barbie, Hot Wheels, and Fisher-Price have all helped to bolster its results. They all showed great performance in the second quarter of 2017 but honestly speaking they’re not where they would like to be. Mattel’s turnaround efforts will likely payoff in the long run. 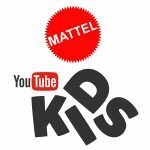 Margo Georgiadis, Mattel’s CEO, announced they plan to execute their strategy to strengthen Mattel over the long run and achieve sustainable growth in the near future. International net sales have shown a great eight percent increase in performance with gross sales increasing by six percent. Although the picture looks great on a global scale, sales in North America have been much lower than expected. 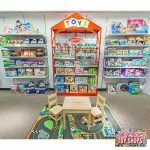 In the second quarter, Mattel’s construction and arts and crafts categories experienced a drop in sales. This includes Mega Bloks and RoseArt brands among others.